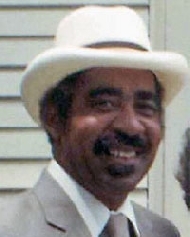 Adolphus Myers, Jr. obituary. Carnes Funeral Home. Adolphus Myers, Jr. was born in Karnack, Texas on September 20th, 1931 to parents, Adolphus and L. A. Perry Myers. He passed away on December 14th, 2013 at the age of eighty two years at Kindred Hospital in Webster, Texas. He is preceded in death by his wife, Ima Myers; his parents, and his great-granddaughter, Miranda Marie Vargas. Left to cherish his memory and mourn his departure are his sons, Antonio Myers and his wife, Norma of Texas City, TX, Alfonso Myers and Robert Jackson and Stephanie Rae Myers, all of Lawton, OK. He is also survived by numerous grandchildren, great grandchildren, cousins and many other devoted family member and friends. Adolphus Myers Jr. graduated from Central High School in Galveston, TX on May 31st, 1950. A year later he joined the United States Army and served his country for the next twenty-two years. Upon his retirement, he moved to Texas City, TX. He will forever be near us, though unseen. Forgive us Lord for pinning, for wishing he were here. It's hard to give up someone we have come to love so dear. Because, you see he was different, he was special ands unique in a thousand ways. We'll miss him all of our days. He will live in our hearts and minds. We bless the years that we had with him and leave the rest to God. His presence we will miss, his memory we will treasure. Loving you always, Dad! and forgetting you never. Pallbearers will be Antonio Myers, Alphonso Myers, Joe McChristan, Melvin Hawthrone and Jame Henry Perry. The family will receive guests starting at 9:00am Friday, December 27, 2013 at Carnes Funeral Home - Texas City, 3100 Gulf Freeway, Texas City 77591, with 10:00am Funeral Services to follow. Interment will take place at Lakeview Cemetery in Galveston, TX.